In the Twilight Zone episode “People Are Alike All Over,”(season 1 episode 25) the scientist Sam Conrad travels to Mars to encounter a terrifying experience that will transform his worldview forever. 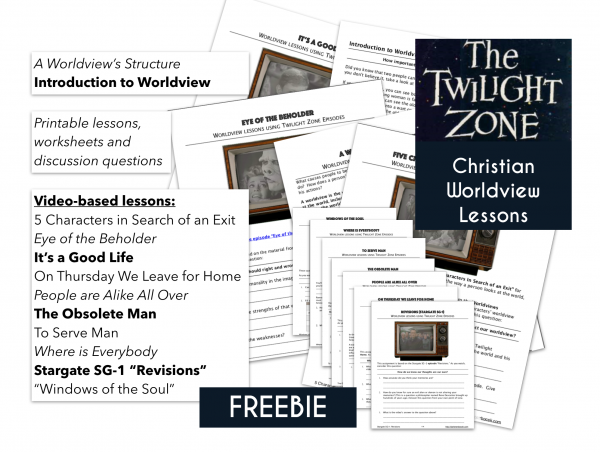 How does Sam Conrad’s worldview change as the Twilight Zone episode progresses? Remember that a worldview is made of presuppositions and surface-level beliefs. Presuppositions are a person’s deepest and strongest beliefs, and they lead to the weaker surface-level beliefs. A person’s worldview causes him to speak and act in ways that can influence the material culture around him. Consider the part of the Twilight Zone episode before Sam Conrad meets the Martians. Name one of his presuppositions, two of his surface-level beliefs, and four of the ways he influenced the material culture around him. Describe how his first day with the Martians affects his worldview. Look at the list you made for the first question. Which beliefs in his worldview changed and why? How did his worldview shift affect the things he said and the things he did (his influence on the material culture)? 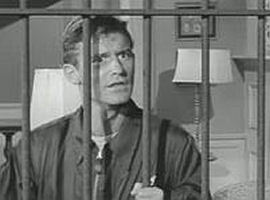 At the end of the Twilight Zone episode, during his second day with the Martians, Sam Conrad goes through a second worldview shift. Explain why this happened. In the second worldview shift, which beliefs in his worldview changed and why? How did his second worldview shift affect the things he said and the things he did (his influence on the material culture)? Find an example in the Bible of a worldview shift. Explain your answer and support it by giving a reference to a Bible passage. Copy down at least one verse from the passage. Explain the original meaning of the passage as part of your answer. Do you think God commands people to go through a worldview shift? Explain your answer and support it by giving a reference to a Bible passage. Copy down at least one verse from the passage. Explain the original meaning of the passage as part of your answer. What do you think the author of the TV episode wants to say about human beings? Are people good or bad inside, and why? Give evidence from the TV episode to support your answer. Think about your answer to the last question. Does the Bible’s teaching agree or disagree with what the author is saying about people? Explain your answer and support it by giving a reference to a Bible passage. Copy down at least one verse from the passage. Explain the original meaning of the passage as part of your answer.